The five story, 100-room Detroit Foundation Hotel embodies much of the Motor City’s distinct charm. 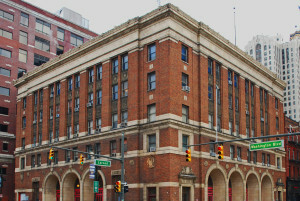 Once the Detroit Fire Department Headquarters, the Neoclassical brick building is now an art-rich center awash in amenities and ideally situated downtown. The property incorporates everything from 3,000 square feet of communal space, meeting rooms and a rooftop ballroom with view to an exemplary restaurant. Design here aims to bridge the past and the future—and succeeds with modern and industrial flourishes set amidst vintage pieces. The hotel says they are just getting going, and planning on rolling out a few more noteworthy features in the coming months.